The Baseball News Source Top MLB Prospects of the Week report will be a weekly rundown on the Top 10 prospects from each one week period, reported to you each Sunday. This is not meant to be a list of the top prospects in the game, rather this is a report of the prospects who had the best performances based on talent/ability level, respective league difficulty, and progression (as well as projection) throughout the one week period of June 16 to June 22. 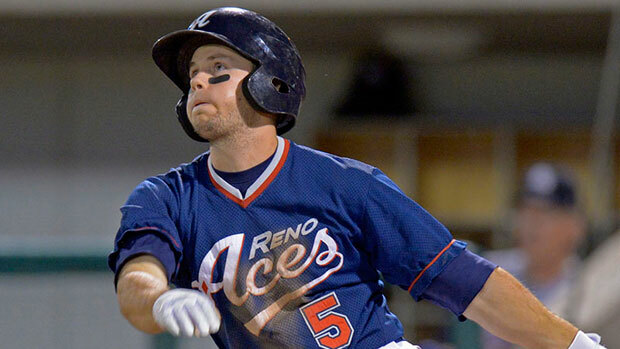 Owings has had an outstanding week at the plate for the Reno Aces, helping lead his team to a 5-2 record in that span. Following a 2012 season in which he started to display decent power potential, Owings has slugged two homers within the past week, increasing his season tally to seven. In addition, Owings has already matched his RBI total from last season with both High-A Visalia and Double-A Mobile in just 76 games this season. Although Owings essentially lost the title of Arizona’s top shortstop prospect to Didi Gregorius (who joined the major league club in Arizona earlier this season), Owings still has the opportunity to move to second. Owings has started select games at second for Reno this season and with Cliff Pennington struggling in Arizona, Owings may be the viable replacement in the near future. The 2009 first-round pick of the Diamondbacks has the tools to become an everyday middle infielder and with some work to his plate discipline, Owings should be able to hit for average and be a solid addition to the Arizona lineup. Walters has been on an offensive tear as of late, slugging four home runs in his last five games and boasting a pair of multi home run efforts in his last nine games. The former San Diego standout has seen his bat develop solid pop this season, as he now has 18 homers on the season, besting his total from last season by six in just 67 games this year. Originally drafted by Arizona in the ninth-round of the 2010 MLB Draft as a pitcher, Walters has developed into a solid shortstop prospect with a plus arm. His strong arm should allow him to remain at short at the next level, where he may see action as an everyday player; however, his ability to play the middle infield and third (along with a bat that still needs development) may relegate him to a role as an utilityman. Bridwell has improved his stuff this season, particularly as of late. In the past week, Bridwell has started two games, winning both and dominating his opponents with 17 punch-outs in 14 2/3 innings of work, displaying excellent control as he walked just one batter. Bridwell has seen both his walks and strikeout rates drastically improve this season, his walks rate nearly halved and strikeout rate almost doubled. Bridwell has a diverse pitch arsenal that still needs some development, highlighted by a solid fastball with good sink and movement. Despite the fact that this is his third year with Low-A Delmarva and he has struggled with his command and control at times, the Orioles remain big on Bridwell, as his youth and raw talent are still much to be desired. Holmberg has pitched strong for the Bay Bears this season, highlighted by a month of June in which he has posted a 3-0 record and 0.78 ERA in three starts. In his most recent start, Holmberg was masterful, serving up a complete-game one hitter against the Pensacola Blue Wahoos en route to his fourth victory of the season. In terms of talent, Holmberg is close behind fellow Arizona top pitching prospect Tyler Skaggs, wherein Holmberg possesses a solid four-pitch arsenal that he commands well. His sounds mechanics and ability to command the ball should allow Holmberg to become a future middle of the rotation fixture for the Diamondbacks come the end of this season or early next year. The top prospect in the Mariners organization has been solid in Double-A ball this season, displaying flashes of brilliance that suggest a future as a front of the rotation starter at the next level. In his most recent start, Walker utilized his fastball-curveball combo to strikeout 12 batters, something the Seattle prospect has done often this season. Walker possesses a plus three-pitch arsenal consisting of a fastball, changeup, and curveball, all of which he commands well (although he still needs to improve his command and control). With continued development, Walker is a sure-fire frontline starter for a future Seattle rotation that may also include the likes of Felix Hernandez and fellow top pitching prospects Danny Hultzen and James Paxton. Cosart turned in a dominant outing in his most recent start, working six scoreless innings and striking out eight batters while walking none en route to his seventh victory of the season. The former Philadelphia prospect has solid this season with Oklahoma City, developing a plus fastball that sits in the upper-90s and a curveball that has good movement. With a little more work on his control and putting the ball in the strike zone more often, Cosart should receive his big league call-up in due time. Martin pitched solidly for Double-A Mississippi this season, posting a 2.82 ERA in 11 starts before being promoted to Triple-A Gwinnett this past week. In his first start in Triple-A ball, Martin shined bright, going seven scoreless innings and surrendering just two hits, while striking out seven and walking one. Since being drafted out of Gonzaga in 2010, the Braves have primarily utilized Martin as a starter, as he possesses good command and control of a four-pitch arsenal, highlighted by a good cut fastball. Martin should move quickly from this point on as he should provide the Braves with a solid back of the rotation starter at either some point this season or early next year. Ramirez has rebounded from a difficult 2012 campaign that saw him post a 6.28 ERA between Double-A and Triple-A ball. However, 2013 has been a rebound season for Ramirez who has pitched strong as of late, as witnessed in his most recent start this past week. Ramirez went six scoreless innings, surrendering just two hits and striking out six en route to his ninth victory of the season. Ramirez has the ability to become a mid rotation starter at the next level, as he possesses a solid pitch arsenal highlighted by a good fastball and slick changeup that he commands well. If he continues to pitch at this pace, look for Ramirez to make his big league debut later this season for the Rangers. Weickel turned in one of his best starts of the season on Thursday, working 5 1/3 scoreless innings, surrendering just one hit and punching out nine batters. Since being drafted by Oakland in the first round in last year’s draft, Weickel has had a mediocre first two seasons in the minors, although he has come around as of late, boasting a 1.76 ERA in the month of June. Weickel has good command of his fastball, changeup, and curveball, all of which he can locate across the plate with relative ease. He has the frame (6-6, 195) and talent to develop into a solid starter for Oakland in the next couple of seasons. Bostick has come on strong in the month of June, batting .381 (24-for-63) with six home runs and 21 RBI. Part of that success came this past week where Bostick batted .500 with one home run and seven RBI for the Beloit Snappers. He has developed decent pop this season, more than tripling his home run total from last season in short-season ball with Vermont. Bostick’s recent overachieving should allow for the young second baseman to get a late-season promotion to High-A ball.